Participating in the latest round of Gumroad’s Small Product Lab challenge has been a really exciting and empower experience so far! I’m no stranger to experimentation and creating neat things, but having a tight deadline and daily accountability has REALLY pushed me to keep charging forward. It’s awesome! I’m about to start working on Day 4 of 10, and I feel like I’ve been able to smash a lot of personal goals and accomplish a lot in a very short time! By the way, if you want a limited time $10 off pre-launch coupon for my course, read on down to the bottom of this post for the link! My previous SPL diary progress posts on Day 1 and Day 2 explain more about the challenge and how I’ve been doing so far. My big accomplishment this week? In three days, I’ve been able to write over 17,000 words! Let’s unpack that a bit. On Monday, I barreled through writing 4,000+ words. Considering I normally write about 1,000-2,000 words at a comfortable pace on a good day (when I’m in the groove), that felt amazing! 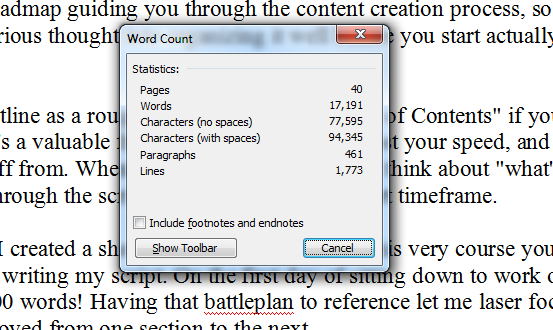 On Tuesday, I upped my game and pushed through writing over 5,600+ words. Gaining momentum! For me, that’s a lot of words. I’m really happy about that. It’s interesting, though, because when I posted some of my previous updates this week sharing my excitement over my writing progress on this project, I got a few responses from people that amounted to “pfffft, I wrote 20,000 words in a day once.” Yadda yadda. I’m not a fan of the “oh yeah, well I [insert one-up here]” mentality. Drives me crazy. But kudos to anyone who’s doing better! The point is I managed to turbo charge MY OWN writing routine through this project. That feels like a great accomplishment! Now you may not be familiar with my own writing process much, but on average, I tend to write a bit slower because I often edit as I go and try to make my first drafts as polished and published-ready as possible. I usually still need to go back and clean things up, but in general, I’m not just slopping words onto the page and moving on. I take the time to organize sections and write things out. When I’m working on something like this, where I need to turnaround a finished project in a tight timeframe, I aim for polish AND speed as much as possible. Part of what made things speed along so much for me is that I had a good, solid outline to work off from. The other thing is the writing is this project is very conversational, which reads well, and is attuned to double as both a narratable script for the course audio I’m about to record and as a rough draft for an ebook version of the course…because some folks like having a searchable copy, too. So anyhow, that was a big deal for me personally. Maybe not so much for others, but I feel stoked! I also still have more to write, but on Day 4, I’m shifting gears to start producing the audio and video for the course…which launches on Oct 7th. For my product, Expertise to Income: How To Sell Your Skills With A Short Online Course, I’m creating a short online video course+ebook combo aimed at showing people how to take their skills and expertise and turn them into short, easy to produce paid online courses that teach others how to do the things they’re good at. How does this apply to you? Everyone has a skill or is an expert at something. Maybe you’re a self-published author and you know some really helpful tricks or skills to help other authors get their books out into the world? You could create a short online course from scratch using this system or even turn your existing books into short courses! Maybe you’re a homebrewer? A business person? A marketer? A diet coach? Or just an average person with a passion for a topic and a little bit of skill or knowledge you could share with an audience who might be willing to pay for it. 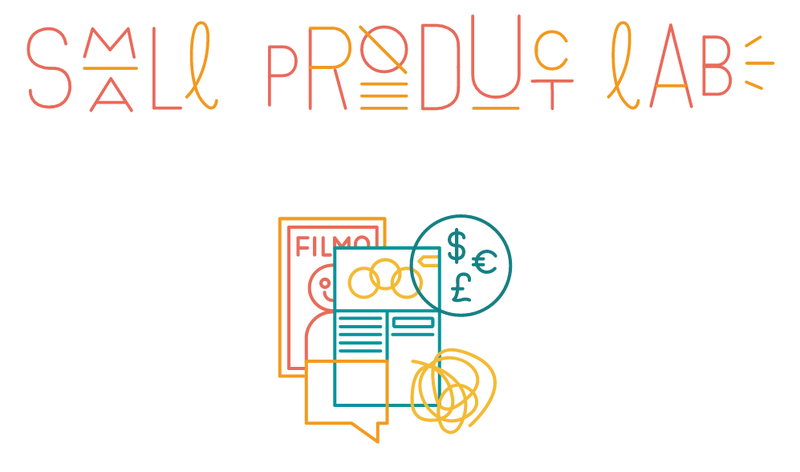 Anyone can turn their passion and expertise into a sellable product, and more specifically: a short online video course. Here’s the cool thing: I’m creating the course by actually USING the system and processes that I outline in the course itself. In a sense, you could say this course is creating itself, sort of. How did this come about? For the past year, I’ve been working hard behind the scenes to create a massive Podcasting for Authors and Writers online course for the Udemy platform, and that’s been a lot of fun, a lot of work, and a great learning experience. I’ve created many dozens of high quality videos on essentially a zero dollar budget, and when that course launches it’s going to be killer! I wanted to take what I learned from that and create a standalone product showing other people how easy it is to make great videos and sell them as a course. Here’s the thing: While I’m very comfortable talking on podcasts, I’m AWFUL at improvising spoken audio for video content, and I really don’t like being on camera. I feel like I’m not alone in this. So I’ve developed a process for creating videos that’s SUPER inexpensive, fairly quick to do once you get the hang of it, and it produces really high quality video presentations with top-notch audio…all without having to be on-camera. WIN-WIN! Create AMAZING quality videos by recording your own audio narration. creating PowerPoint style slides, and combining them all together in super polished, professional video! Price, launch, and sell your paid course! My course goes into all of this in nitty-gritty detail, offering helpful tips and insights as well as detailed step-by-step instructions to ease you through the more technical (but totally not scary) aspects of creating and selling your own short online course! I’m REALLY excited about this, folks, and I can’t wait to share it with you! I’ll be launching version 1.0 of my Expertise To Income Video and Ebook course on Gumroad on Oct. 7th when the SPL challenge wraps-up. I have plans to add free bonus content post-launch, too! $10 off when you pre-order today! Go ahead and GRAB YOUR DISCOUNT today!